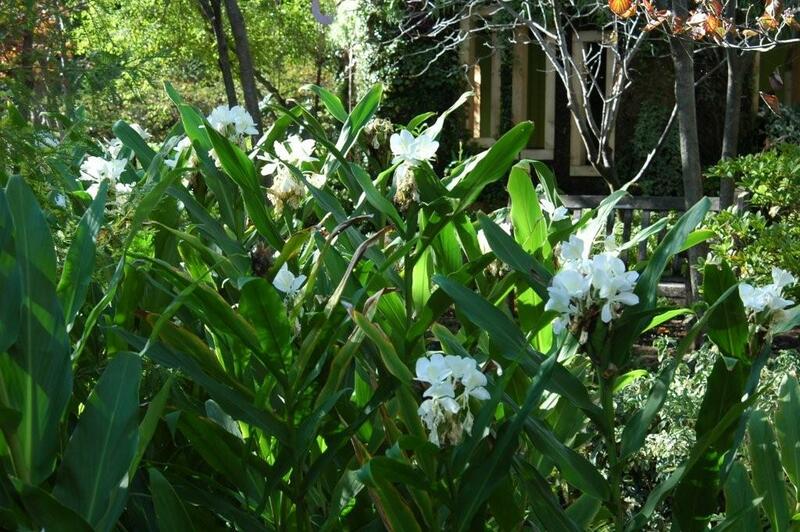 GINGER, BUTTERFLY Hedychium coronarium Perennial for sun to partial shade. Height 5 – 6’ Spread 5”.Spacing 3’.Native to Asia. Flowers high fragrant white flowers. Easy to grow perennial for sun or shade. It very cold hardy, fragrance is outstanding.